For people whose insurance don’t cover lower back surgery, the procedure presents an uphill battle consisting of bills that have to be paid. Not everyone has unlimited reserves of money in their bank accounts. But those up for traveling can consider getting lower back surgery in Spain Europe. 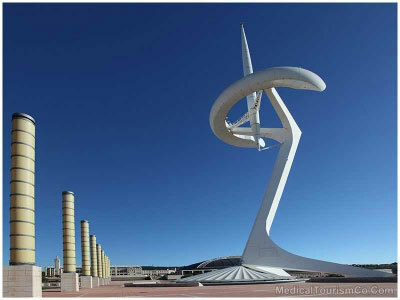 Medical tourism in Spain has been growing more and more over the last few years, with a healthcare system that keeps getting better over time. It currently ranks 7th amongst all the member nations of the World Health Organization in the global health body’s health care rankings. If you are considering traveling abroad for a back treatment, you might come across several lower back surgery options in Spain. Spain is a great tourist destination for those of you also seeking to go on a vacation. Please submit quote request form on right for price estimate. It can be tricky treating the human spine. 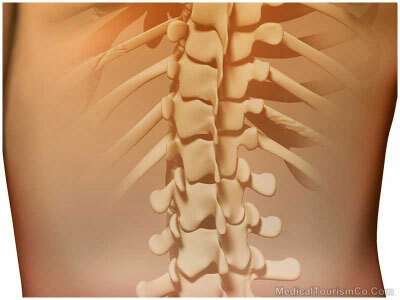 Injure your spine, and you’ll impair your body as well as cause yourself a great deal of pain. If your injury or disease is serious, consult your doctor because there is a chance the only way to alleviate your pain is through surgery. There are several lower back surgery options in Spain, just like everywhere else. What you do get depends on your condition, and what your doctor decides is the best for you. You can undergo laminectomy in Spain, if that’s the option you’re going for. Laminectomy is a procedure usually undertaken to treat spinal stenosis. According to the National Ambulatory Medical Care Survey, among the annual 29,964,894 hospital visits for back problems, 3.9% are classified as spinal stenosis. The complication rate of laminectomy is 26.3% according to a study about the topic. The biggest advantage, of course, is the cost of lower back surgery in Spain. The cost of low back surgery in Spain is a lot lower than the costs associated with it in developed nations. Exact costs depend on the procedure you’re getting done, as well as various other elements such as the hospital and doctor of your choice. Of course, you’re spending more if you’re also holidaying in Spain. Double expenses, too, if you’re bringing someone with you! If you want an idea of how much you’ll spend before seeking treatment for lower back pain in Spain, ask Medical Tourism for a free quote! Its burgeoning medical tourism industry means there are hospitals with advanced technology and doctors with extensive training (some even trained in first-world nations) for lumbar back surgery in Spain. Perhaps the biggest disadvantage of getting lumbar treatment in Spain is its location. If you’re not from any of the surrounding countries, you’d be flying in from somewhere far away. And if you’re flying from far away, it means you’re going there alone if you can’t afford to bring a companion with you. Unfortunately, it could be hard to go through an invasive surgery alone. Not to mention you’re staying there while you recover. If any complications arise at home after your low back surgery in Spain Europe, you can’t consult the surgeon who operated on you. There might also be some concerns regarding language barriers – figure out beforehand if you need a translator so you could hire one. If you’re an American citizen, you don’t need a visa to travel to Spain. And if you want some rest and relaxation after your lower back surgery in Spain Europe, you can visit some of its many tourist spots that include some gorgeous European architecture!